By the time a child reaches the age of 18, he or she will witness 200,000 acts of violence, including 40,000 murders. That is the cumulative result of watching an average 25 hours of television a week. Is it any wonder then, that aggressive and violent behavior is a more characteristic trait in today’s teens? When a youngster pulls out a gun in a high school cafeteria and senselessly opens fire on a group of his unsuspecting peers, the immediate reaction is shock, horror, outrage, and grief. All week the community of Chardon, Ohio, has mourned openly in view of a sympathetic worldwide television audience that shares in its struggle to make sense of this dreadful act that claimed three young lives and injured two others. The statistics cited at the outset were gleaned from a study done by the Parents Television Council nearly ten years ago. 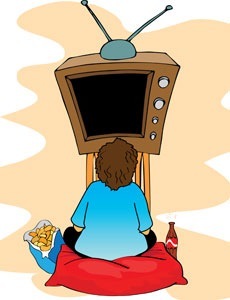 The study is titled, TV Bloodbath: Violence on Prime Time Broadcast TV, and though its statistics are dated, it nevertheless presents a tremendously compelling argument on the effects of televised violence on antisocial behavior by teens. It would be foolishly naive to assert that this was the lone contributing factor in this tragic incident, if it was a factor at all. Yet the society in which we live seems powerless to prevent, let alone restrain the seemingly escalating number of such occurrences in places that are regarded as sheltered from such acts of bloodshed. The search for answers as to why this happened is like grasping at straws. It is in the pain and sadness that we cry to our Lord for help. The community was comforted by numerous prayer vigils where the reassuring word of God was heard. There will now be funeral services in which once again God’s voice will be proclaimed. The search for answers will appear to be endless. The mystery as to why may remain unsolved. But while the reasons for what has taken place may forever remain unknown, it is important to move forward in hope. Hope for healing, hope for renewal, hope for restoration of our faith in God. ← Oh No, Not Another Opinion on Jeremy Lin! Would that prayer be once again permitted in the halls of public institutions where, as in this instance, it is sorely needed.